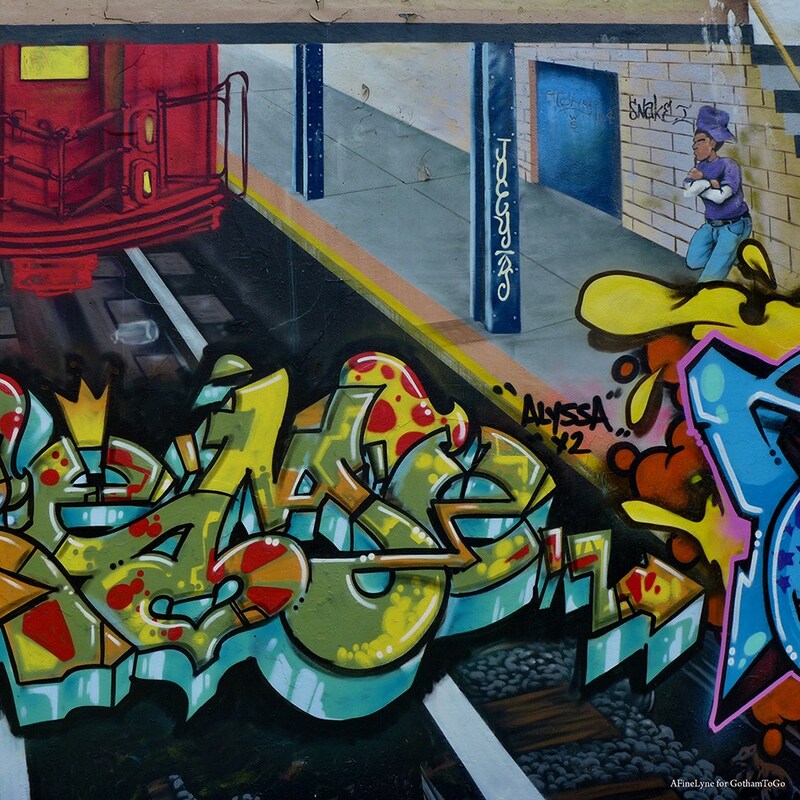 The Graffiti Hall of Fame stretches between 106th and 107th Streets, alongside the elevated Metro North train on Park Avenue in El Barrio. Known to Street Artists since 1980, and now a tourist destination, it is rarely open (except by private tour) to the public. But once a year, James Top, Executive Director of this iconic Wall, selects a theme and invites artists for a two-day emersion. This year’s theme ~ The Subway Edition, with artists from the 1980s subway era. We were there from start (Saturday, August 24th at Noon) to end of day on Sunday, August 25th. The 38th Edition of Graffiti Hall of Fame, El Barrio.